Our 40-hour MFL Inspection Course will be featured in Tank News International‘s Summer 2018 Issue. 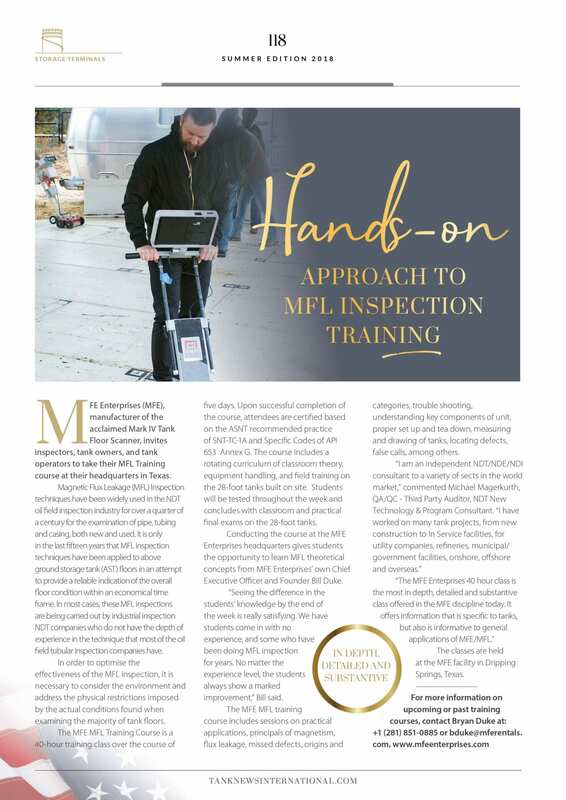 The article highlights our hands-on approach to MFL inspection training from experienced instructors, including our Founder and CEO Bill Duke, who has over 30 years experience in the magnetic flux leakage technique. Students learn in-depth classroom theory, equipment handling and best practices through shop instruction, and hands-on field training on 28-ft tank floor bottoms. 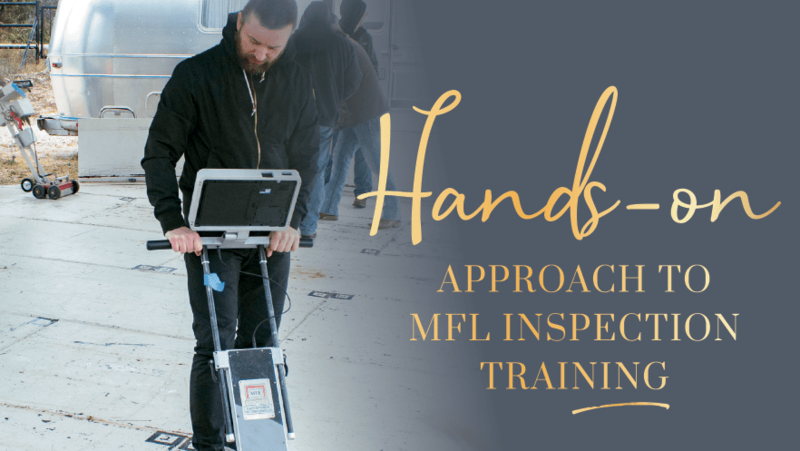 The 2018 MFL Inspection Training Class dates are June 4, August 6, and November 12. Click here for more information about our MFL Training Course, or email questions to Bryan Duke at bduke@mferentals.com.